Nikki joins Couchman Hanson as our latest team member looking after our family law clients. 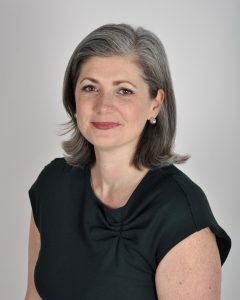 She brings a sincere understanding and empathy for her clients who are facing separation, divorce, child arrangements and financial arrangements and is therefore sensitive to their individual needs. She has been practicing family law for over 15 years and has a wealth of experience across a broad range of complex cases. She strives to ensure that, what can be an emotional and distressing process, is resolved with minimal stress. Her focus really is to take the stress out of her clients situation. Nikki genuinely cares and is renowned for creating a loyal and rapportful relationship with her clients. Her expertise, willingness and ability to find a solution in even the most complex of cases is what sets her aside from most. Outside of work Nikki enjoys taking her family on skiing holidays, including her 2 children who have been skiing since they were 3! Nikki is proud to be a member of Resolution, a national organisation of family lawyers who believe in a constructive approach to family law matters. She is a Resolution Accredited Specialist in Finance and Children matters, which demonstrates her knowledge and experience in these areas.